Home remedies for fat burning – Do they really work? diet supplements. But there are circumstances in which we want to consider alternative medicine because is totally natural, besides having a really very little cost compared to traditional methods for weight loss. And this is where home remedies for fat burning come in this field, and can be made at home. And let me tell you, they work, maybe do not have the same impact of certain foods to lose weight, but will aid in your weight loss program. Drinking water: It has been scientifically proven that by drinking water before eating, you lose an additional percentage of fat compared with dieting alone. Also, older people often remove their weight more effectively by taking a glass of water before eating, and when I talk about the elderly include all persons who are over 40 years old, after this stage the body’s metabolism becomes slower and water makes it increase its pace, allowing you to remove accumulated fat faster. And the effect on young people is just as beneficial, people who drink at least 8 glasses of water throughout the day can better manage their desire to eat, water also helps remove toxins from the body, increasing the metabolic rate, leading as a result in burning more calories throughout the day. By drinking water as one of the home remedies for fat burning will allow you to burn about 100 calories daily. more fat than they really need. 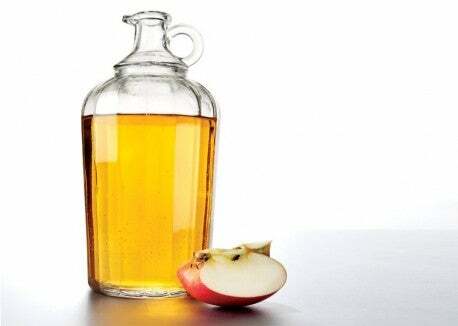 Apple cider vinegar: Recent studies have shown that apple cider vinegar has positive effects on weight loss in addition to other qualities that benefit body health. You can drink 2 teaspoons in a glass of water but ideally use it as a topping on your meals and your salads. To lose weight fast and keep the results in the long term, you need to have a healthy eating plan that will eliminate all your weight naturally and you can use these home remedies for fat burning as a complement to maximize results. 20th January 2016 6:45 pm jrodrigu4 Comments Off on Home remedies for fat burning – Do they really work? « High carbohydrate diet to lose weight?